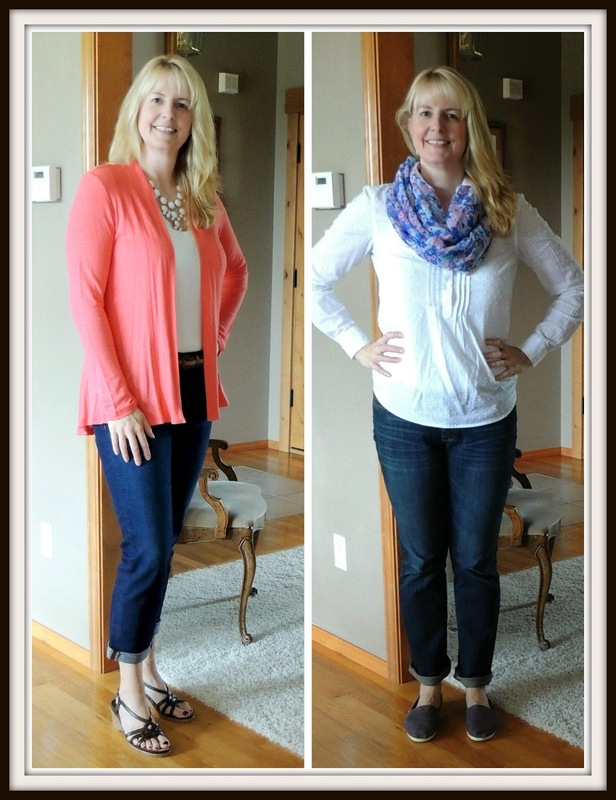 For the last three weeks, I've been participating in Alison's Spring Style Me Challenge. Every afternoon I excitedly checked my e-mail to see what Alison had picked out for me to wear the next day. Sadly, the challenge has come to an end (cue violins, dramatic music, and weeping). Oh great - now that Alison has left my in box, I'm going to have to figure out how to get dressed by myself. Luckily I learned some things that will help me as I move forward on my own. Well, at least until the Summer Style Me Challenge starts! I'm not too "old" to try new trends. I used to be afraid of white jeans, statement necklaces, and leopard, but now I know that I can pull them off just as well as anyone else. I don't have to spend a lot of money to have a cute wardrobe. A handful of basic pieces can be mixed and matched into so many different outfits. It doesn't take that much more time to look pretty and pulled together than it does to throw on yoga pants. I'm not too tall for wedges. Well, a little tall, but not TOO tall. The people around you will notice when you put extra effort into your appearance. Even your husband and male children! However, the most important thing I learned was how kind and supportive a group of women with a common goal can be. I received heartfelt compliments from so many Style Me Challenge participants, both here on my blog and through the Facebook group. Each beautiful lady encouraged me to step outside of my comfort zone, and I have grown more confident in these three weeks. I've made some wonderful new friends in the process. To Alison and all of you, I say thank you! 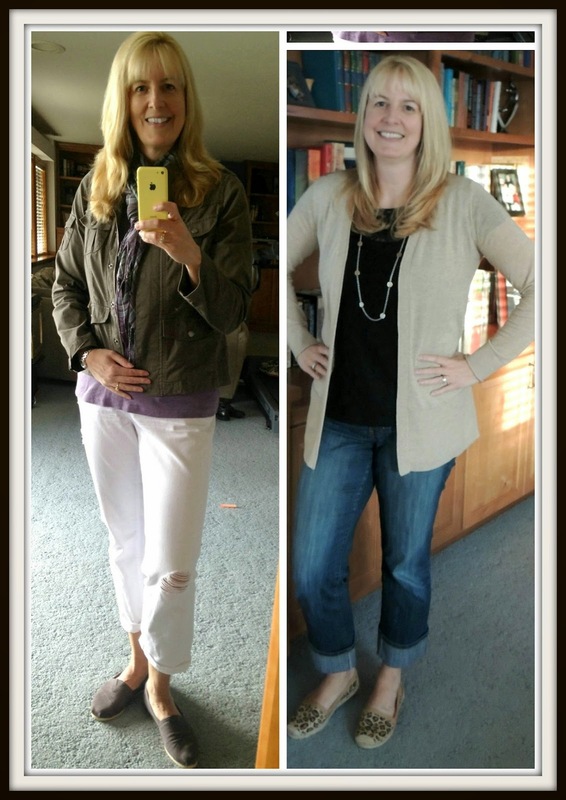 Check out these lovely friends to see how the Style Me Challenge inspired them! We've had so much fun sharing our blogs each week, that we've decided to keep the fun going! 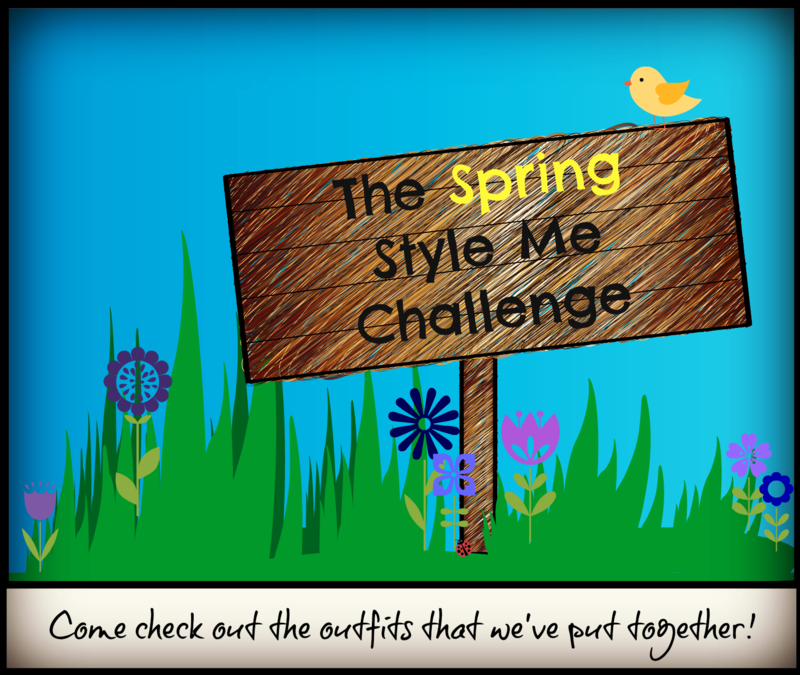 Check back next Wednesday for our new Style Me Awesome Link Up. Thanks to Deena for designing this great button! Lana, you rocked all of these outfits! Great post on your takeaways from the challenge too. Alison was the perfect person to host this challenge. I'm glad you did it too! Love the white pants outfit! and the statement necklace in the coral sweater outfit. So glad to have "met" you through the challenge! Looking forward to continuing to link up. Thanks Sarah. I'm glad we're going to continue the link up. I was surprised how easily leopard works with - EVERYTHING! Great outfits! Thanks Jordan. I wore my leopard shoes with the most random outfit today and they actually looked great! You are always so positive and encouraging- definitely enjoy interaction with you! What a nice compliment! Thanks Deena. I'm looking forward to continuing the link ups. This is such fun challenge this is such a fun challenge, I love the looks you showed here. I love Alison's site. Thanks for the comment! Good for you for trying out new things with Alison's challenge! Love your outfits! Thank you. I need to keep trying new things on my own! I've heard so many great things about this challenge that I'm signing up for the next one. I love all of your looks! I hope that we'll be seeing more of each others style in the future. I'm so glad you're signing up for the summer challenge. You will really enjoy it! Looking forward to seeing your outfits. Thanks for sharing what you learned. I also Alison's blog and am thinking about trying the summer challenge. You look nice in all of your outfits! Thank you! I hope you decide to do the summer challenge. It's so much fun and totally worth it.